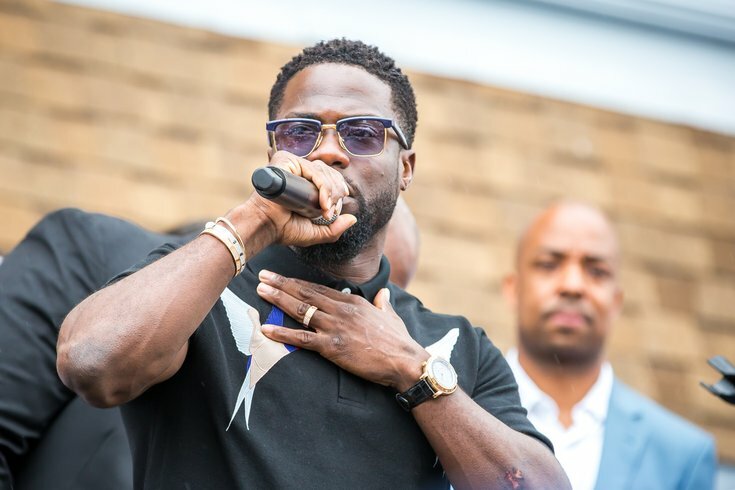 UPDATE: Kevin Hart, the comedian and Philly native, apparently will not host the 91st Academy Awards, after all. Announced in December as the host for the Oscars telecast on February 24, Hart stepped down three days later, after homophobic tweets from his past resurfaced. But he appeared on the Ellen Degeneres show on Friday to hear that she had contacted Academy Award officials, who said they were open to having Hart host the annual affair after all. The Academy will continue on its course toward an Oscarcast without a single host, and instead will enlist some of the biggest names in the games to present awards. Hart’s appearance on Ellen to promote his upcoming film The Upside rekindled hope when DeGeneres — whom sources said turned down the job awhile ago — urged Hart to host and made calls to the Academy. Hart was moved by DeGeneres’ gesture and indeed reconsidered, and he has apologized so often that the Academy would have been receptive to his return, I’m told. Ultimately, Hart felt his hosting would become a distraction, a continuing controversial narrative that would take the spotlight off the people and movies being honored. He also grew concerned at the limited amount of time he would have had to prepare. Both are legitimate concerns. After the ensuing parade of blowhard polemic articles following Hart’s Ellen appearance, who can blame him? Hart's Twitter feed on Saturday included mentions of "The Upside," which hits theaters on Friday, but nothing about the Oscars. It’s the story that refuses to stand still. On Dec. 4, Kevin Hart was announced as the host for the 91st Oscars. Three days later, after homophobic tweets from Hart’s past resurfaced, the Philly native decided to step down from the gig. Exactly one month after Hart was announced as the host, he appeared on Ellen DeGeneres’s show and apologized, while reminding people he’d apologized before. DeGeneres endorsed the idea of Hart re-accepting the hosting gig, and even said she’d called leadership at the Academy of Motion Picture Arts and Sciences to lobby for him. Parts of the internet embraced the idea; many others didn’t. And now, on Jan. 5, comes a report from Variety that the Academy is open to the idea of Hart returning. Incredibly, we’re seven weeks away from the show, and it still doesn’t have a host. It seems the Academy would take Hart back if he were to pony up one more apology; how that decision would affect the show’s ratings — would people protest, or perhaps hate-watch? — is unclear. It’s also unclear what the morally correct path is, both for the Academy and the people judging the coming decision. The only thing that’s clear is we’ll be hearing about this story again.